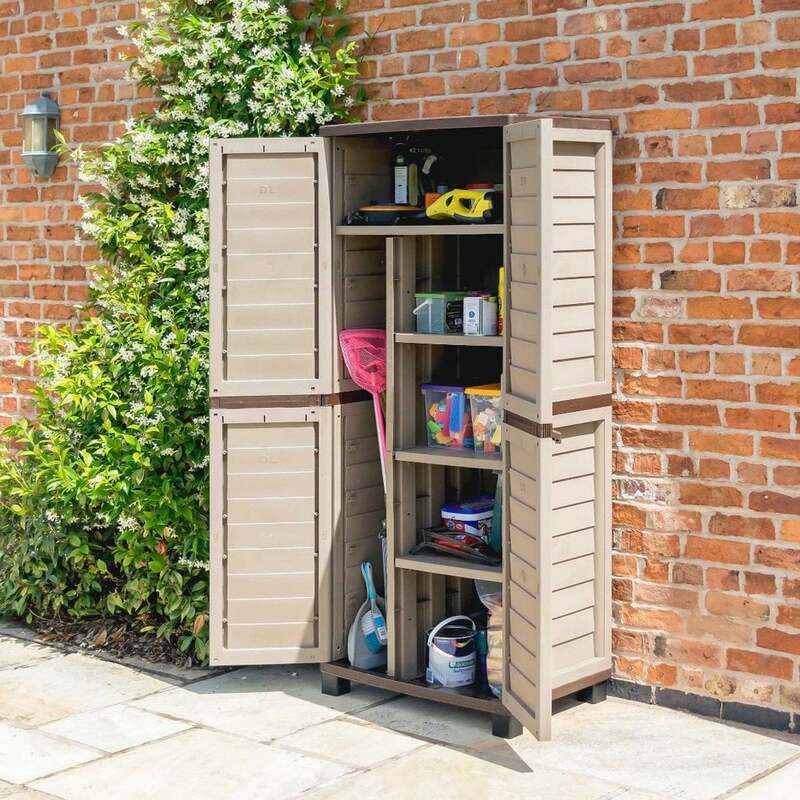 Rowlinson Plastic Utility Store Mocha: The Rowlinson Utility Store is a great outdoor storage unit, perfect for storing a range of items thanks to multiple shelves and compartments at different levels. The Plastic Utility Store features double doors to provide easy access, a sturdy floor to keep your items dry and clean. The Rowlinson Store is constructed from durable plastic for a maintenance free design and a quick and easy assembly which requires no tools.